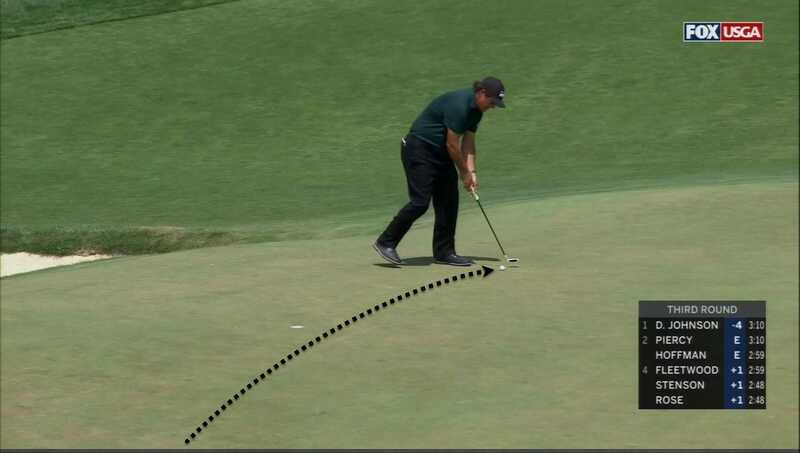 Mickelson later acknowledged that the move was calculated because he didn’t want the ball to roll off the green. 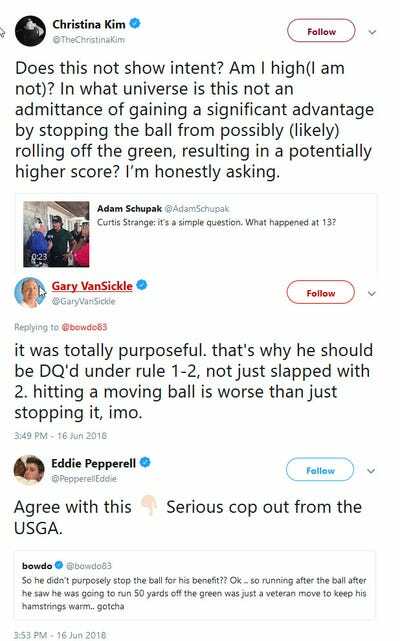 The US Golf Association cited one rule as having precedence over a second rule that could have DQ’d Mickelson. “I’ve never seen anything like that from a world-class player in my life,” Strange said. 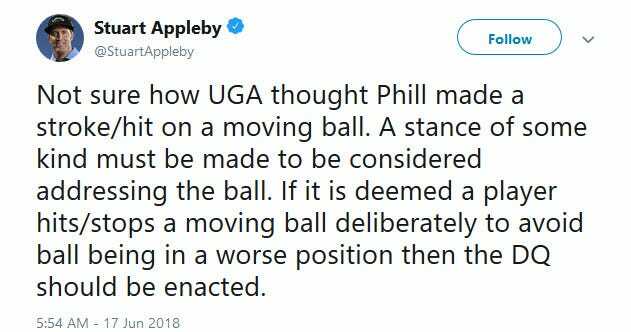 Mickelson did later acknowledge that he intentionally hit the moving ball because he didn’t want it to roll off the green. Mickelson’s comments seem to suggest he was attempting to gain an advantage. Still, “advantage” is subjective, and it is up for debate how “significant” it was if he still scored a 10 on the hole and was 21 strokes behind the leader (at the time). 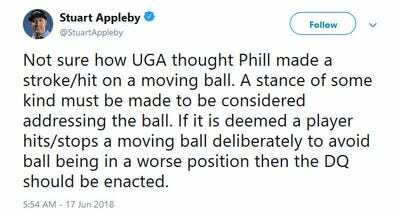 According to the golf writer Jason Sobel, the USGA used Rule 14-5 because it had determined the ball was not “deflected or stopped” by Mickelson.